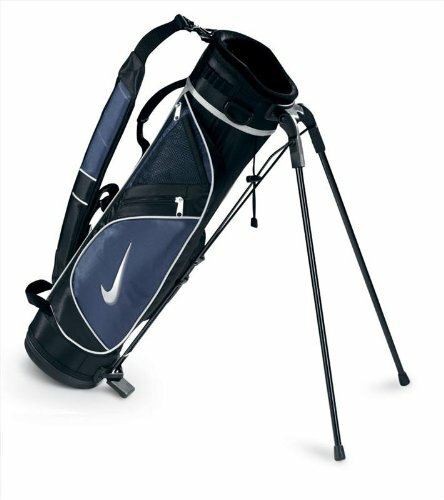 The Nike Birdie Blue Kids' Golf Stand Bag features all the professional styling and club management that your budding golf-star requires. 6.75 Inch, 3-Way Top Provides Ample Room for Numerous Junior Clubs. Lightweight Construction Materials and a Single Strap. Lightweight, Durable Stand System Designed for Easy Opening and Closing. This is a JUNIOR KIDS bag-NOT an Adult Sized Golf Bag.